We’d love your help. 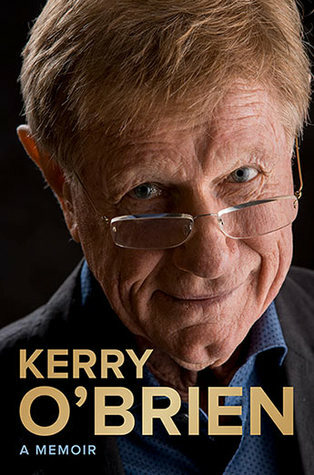 Let us know what’s wrong with this preview of Kerry O'Brien, A Memoir by Kerry O'Brien. Born the day after the first American occupying troops landed near Tokyo in August 1945, Kerry O'Brien's life has spanned the post-war era through the maelstrom of the nuclear and digital age - a remarkable time of intense and dynamic change that has no match in human history. He has witnessed life changing events, interviewed the great and good, and explained the intricac Born the day after the first American occupying troops landed near Tokyo in August 1945, Kerry O'Brien's life has spanned the post-war era through the maelstrom of the nuclear and digital age - a remarkable time of intense and dynamic change that has no match in human history. He has witnessed life changing events, interviewed the great and good, and explained the intricacies of the world to millions of Australians as we sat in the comfort and safety of our lounge rooms. To ask other readers questions about Kerry O'Brien, A Memoir, please sign up. I lived through this era with Kerry as a key media persona in my newsfeed, so found much of the back-story about significant events interesting. For me the book overall was spoiled by poor editing and the tone of the narrative which came across as supercilious and self-congratulatory. I think I liked the media version of Kerry more than his concept of himself. Love Kerry, and he has had a fascinating life. However, I don’t have the time or attention span to read such a tome of mostly political and historical insights and anecdotes. So after 100 pages or so I lightly skipped through the book and read sections here and there that interested me. I would have loved to read more about him and his own life.